But Dallas is running ads promoting Islamic “honor” and hijab. 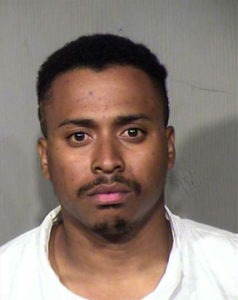 PHOENIX (FOX 10/AP) – Phoenix police say a man has been arrested on suspicion of killing his wife, his two young daughters and a man who the suspect thought was romantically involved with his wife. The couple’s three-year-old daughter was not hurt and was found hiding under a bed when police arrived at the scene. According to court documents released Friday evening, the youngest daughter was not killed because she reminded Smith of himself. Police say the suspect killed his family at their home near 75th Avenue and Camelback before going to another location near 67th Avenue and Osborn and fatally shooting the man because he believed was having an affair with his wife. Sgt. Thompson says the suspect was arrested while driving away from an apartment complex where the man had been shot dead and two others were shot and wounded. The suspect made an appearance in front of a judge Friday evening. Neighbors say Smith was always very friendly, but the rest of the family kept to themselves. The suspect said his religion was a factor in committing the crimes. “He said that the reason he shot these individuals is because in God’s eyes, it was all right for him to deal with someone in this manner who had been involved in adultery, extramarital affairs,” said Phoenix Police Sergeant Tommy Thompson. Smith also told police he killed his seven-year-old daughter because she was “weeping for the wicked”.